A change of plan - What’s on the horizon for our coastal areas? To those of us who aren’t planners or legal specialists, changes to planning legislation can seem pretty dull and incomprehensible, but it’s worth persisting through the pages of confusing terminology, as the implications of these changes can be dramatic. The Newman government recently repealed the Queensland Coastal Plan which governed development and environmental protection in coastal areas, and introduced the Coastal Protection State Planning Regulatory Provision – a change which is likely to have immediate and resounding impacts on our coastal areas. The stated reason for these changes is that the Government is undertaking a full review of the Queensland Coastal Plan because the policies within it were not considered to be sufficiently supportive of the Government’s commitment to grow the four pillars of Queensland economy. The now outdated Queensland Coastal Plan was introduced in February 2012 and contained two parts: the State Planning Policy 3/11: Coastal Protection and the State Policy for Coastal Management. 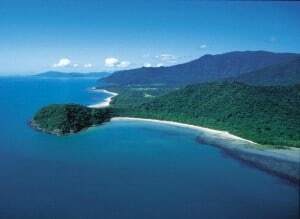 On 8 October 2012 the Queensland government released the draft Coastal Protection State Planning Regulatory Provision (the SPRP) that sets out requirements for coastal protection in Queensland. This SPRP suspends the operation of State Planning Policy 3/11: Coastal Protection (the legislative ‘teeth’ of the Queensland Coastal Plan) as well as part 1.2 Coastal Management of the Far North Queensland Regional Plan 2031. CAFNEC is greatly concerned that this change effectively removes the checks and balances previously provided through the Queensland Coastal Plan that were designed to protect coastal environments and icons like the Great Barrier Reef. The new SPRP contains provisions that allow development in otherwise protected areas if the development is considered of ‘net benefit to the State or region’ by the Minister for State Development. The core purpose of the Coastal Plan was to protect the natural environment and coastal processes and to prevent inappropriate development. It was not designed to promote economic development. If the planning policy has prevented development, it is because that development would have damaged the local environment, threatened community safety or was unsustainable. Tourism is considered one of the four pillars of the new government’s agenda. The Australian Government’s National Landscapes program shows that for the tourism industry to grow it must be based on unique natural and cultural adventure experiences. We are concerned that this new planning regulation will allow development to occur in sensitive coastal areas on whose natural valuesnQueensland’s tourism industry depends. Local governments are no longer required to prepare coastal hazard adaptation strategies for high risk areas. Local governments are still required to consider likely risks to life and property from coastal hazards in land use planning decisions, but there are no sea level rise or cyclone intensity increase estimates given in the SPRP. The previous Coastal Plan defined estimates of 0.8 m sea level rise and 10% increase in cyclone intensity. This leaves local governments with no guidance as to what figures to use. Provisions within the draft SPRP only include reference to protecting areas of High Ecological Significance (HES) and not areas of general ecological significance as the suspended SPP did. This in effect reduces the area to which the draft SPRP applies. The provisions also introduce the ability for the Minister to allow urban development in areas of HES where there is an ‘overriding social and economic need’. The draft SPRP only applies to impact assessable development in a coastal management district. The suspended SPP applied to a much wider range of development scenarios including building work, material change of use, reconfiguring a lot and operational work within the coastal management district as well as certain material change of use, reconfiguring a lot and operational works in the coastal zone but outside of the coastal management district. The SPP also applied to a range of development located in the coastal zone but outside of a coastal management district, whereas the SPRP limits assessment to development inside a coastal management district. This is a massive reduction in the coverage of protections for coastal land. The suspension of part 1.2 of the Far North Queensland Regional Plan effectively hands back management of the urban footprint areas to local government. This is problematic because it means local governments no longer have State government backing for refusal of inappropriate development applications outside the designated urban footprint area, making urban encroachment into surrounding habitat areas more likely. Areas of high ecological significance are not sufficiently protected under the new SPRP. Development should not be allowed in these areas. Furthermore, clarification of what constitutes an ‘overriding social and economic need’ is needed. Development in areas of HES has the potential to degrade important habitat, and leaving this to the discretion of the Minister is a major risk. How are the Great Barrier Reef World Heritage Area’s values to the State’s economy to be considered in any assessments of ‘net benefit to the state/region’ as per the draft SPRP? The SPRP appears to allow developments to proceed within mapped “hazard areas”, exposing Queenslanders to unacceptable flood risk and areas that have been identified as having High Ecological Significance. The SPRP should include a definition of coastal hazards including sea level rise and cyclone intensity increase estimates. This is to ensure consistency across coastal councils in applying the SPRP to reduce community risk. Development in coastal waters should comply with State Marine Park zoning plans and management plans,Commonwealth Great Barrier Reef Marine Park zoning plans and special management areas, as per section 3.3.3c of the suspended SPP. The SPRP should include a policy to ensure the scenic amenity of the coast is protected and enhanced, as per section 4 of the suspended SPP. The coast provides a strong sense of place and connection for local communities and visitors alike.